Kelsey grew up in rural Iowa and graduated with a bachelor’s degree in Social Work from Goshen College in 2013. During her time at Goshen she did a three month Study Service Term in Nicaragua learning about history and culture as well as serving with a rural women’s cooperative in Santa Julia. There she discovered her interest in the women’s movement in Nicaragua and sustainable community development. After graduating she decided to come back to Nicaragua to do two years of volunteer service at the Cultural Center of Batahola Norte in Managua where she taught English classes to adults. Now she’s excited to get back to working with rural communities and to learn more about renewable energy. She’s also passionate about accompanying groups of volunteers and loves to show others the Nicaragua she once experienced for the first time herself. 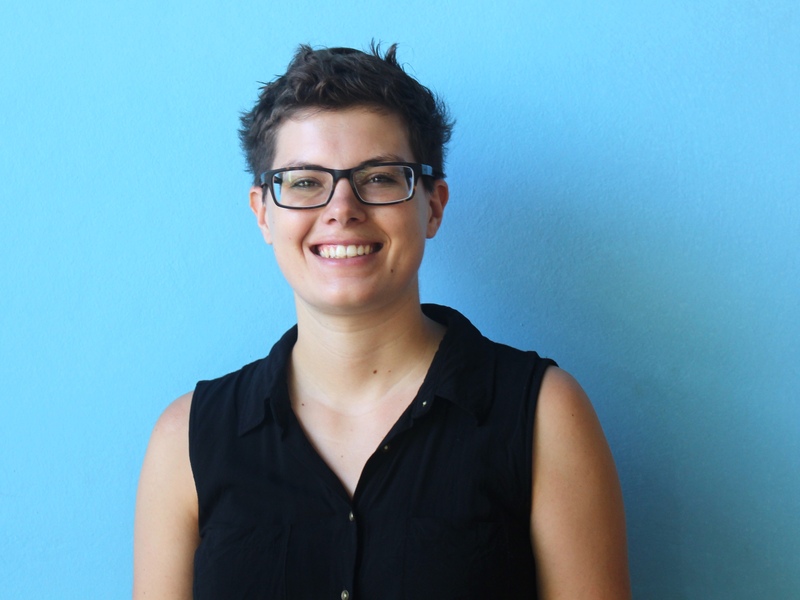 Kelsey has experience working with youth and teaching through a popular education methodology. In her free time she enjoys biking, dancing and trying new recipes.